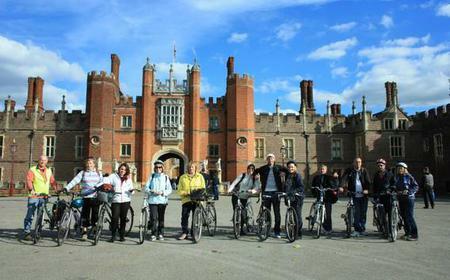 ... Royal Bushy Park, Eisenhower's WWII base, Long Water and Hampton Court Palace. See the beauty and history of the area. Bushy Park is the second largest of the London Royal Parks, with 445 hectares of rich flora and fauna including ancient trees, wild deer and fungi. Bushy Park is the second largest of the London Royal Parks, with 445 hectares of rich flora and fauna including ancient trees, wild deer and fungi. 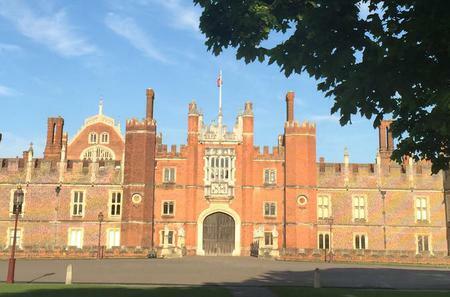 Located to the north of Hampton Court Palace, the history of of the park is inextricably linked to the palace. The centrepiece of the Chestnut Avenue is the famous Diana fountain designed by Sir Christopher Wren. 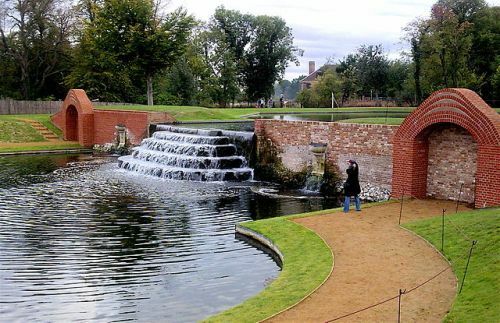 The Upper Lodge Water Gardens have lovely cascading pools and a canal.